If you know me you know how much I love spice, not only the savoury spice but the sweet spice too. For those of you who don’t like spice or ginger these biscuits are not for you, however you can change the spice accordingly. 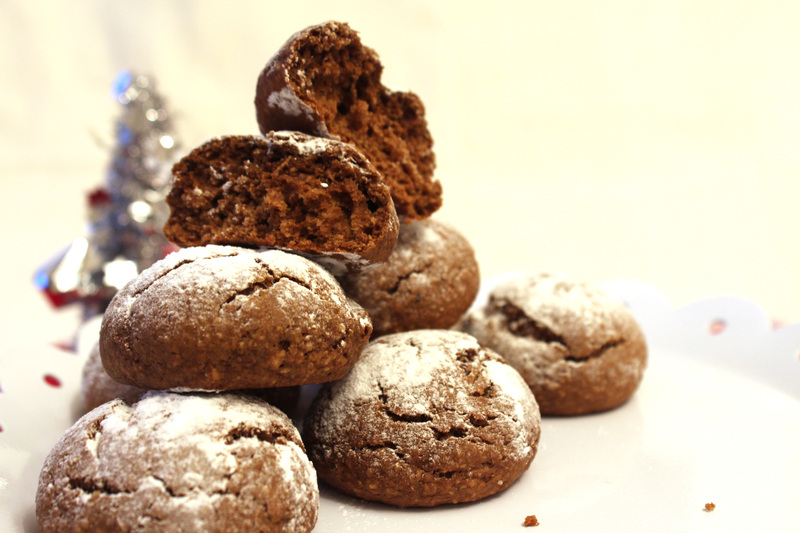 I also really love Lebkuchen as they are spiced biscuits. They are also so relevant to this time of the year and they made the kitchen smell soooooooooo good! Maybe I think you should make them just for the smell. I have brought ready made Lebkuchen biscuits before, these are more of a biscuit whereas these are the in between a biscuit and cookie but I would say more like a cookie as they’re soft. 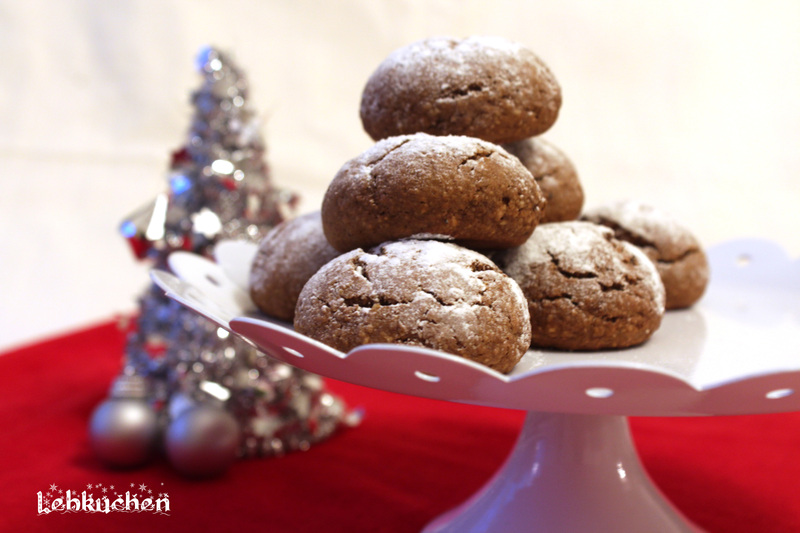 I really enjoyed the taste of these cookies the spice and ginger made them really yummy. 1. Place chopped crystalized ginger in a bowl, then mix together with flour, brown sugar and spices. 2. In a small saucepan on melt the butter and molasses together. Take off heat, then stir into the dry ingredients with an egg. Mix till it forms a stiff dough. Cover bowl with plastic wrap and cool to harden a bit in the fridge for about 10-15 minutes. Don't forget this part it's essential. 3. Once the dough has been in the fridge take it out and with your hands, roll the cookie dough into balls and roll balls around in sugar I got around 20 balls. 4. Place on the prepared baking sheets with about 2 inches apart. Slightly flatten the balls with your fingers. Bake for about 12-13 minutes until crisp on the outside and moist on the inside. 5. Place the cookies on wire rack to cool. I slightly changed the original recipe. I also found my dough didn't bind so I had to add milk to bind over 1/2 cup, you may have to adjust this and maybe add more milk or less.